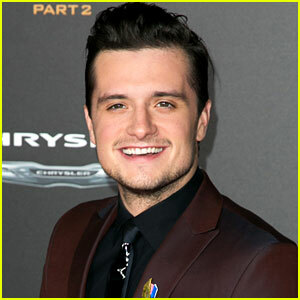 hunger games Photos, News, and Videos | Just Jared Jr. 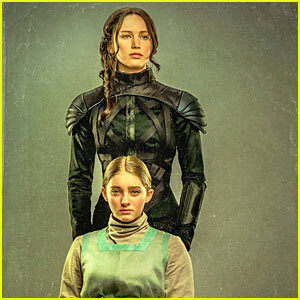 Check out Jennifer Lawrence and Willow Shields in a Hunger Games portrait, which will debut at the 2015 Cannes Film Festival! Tim‘s new book will also feature other portraits of other members of the Hunger Games, such as Elizabeth Banks. Make sure to pre-order your copy of Tim‘s book, which will be published on June 29! Find the Hidden 'Hunger Games' Content on JJJ! We’re so excited for the DVD and Bluray release of The Hunger Games: Mockingjay Part 1 that we created something extra special for diehard fans like us! We hid a secret image deep in the source code of our site and it’s your job to find it! If you do, you’ll get to peep a super cool image of one of our favorite characters. All you have to do is right click anywhere on our site and click to view the page source code. There, it’s up to you to scroll to find the hidden photo! Have fun! And in case you need a reminder of the epicness of this movie, check out the trailer below! Be sure to pick up The Hunger Games: Mockingjay Part 1 on Digital HD February 17 and on Blu-�ray & DVD Friday, March 6! Jennifer Lawrence‘s song “The Hanging Tree” in The Hunger Games: Mockingjay – Part 1 has been heating up the top 40 on the UK charts, according to BBC! The 24-year-old actress’ song, which was co-written by composer James Newton and the folk rock band The Lumineers, reached number 29 on the charts after its release. 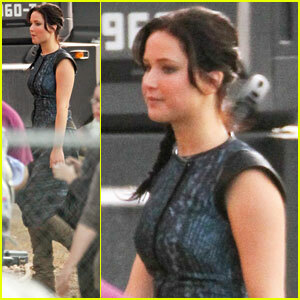 Jennifer sang the song as her character Katniss in a scene for the film, which is out in theaters now! 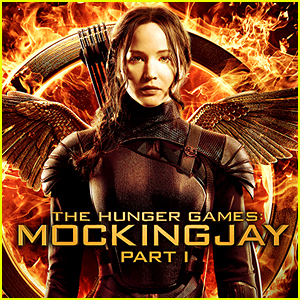 In case you didn’t know, “The Hanging Tree” is featured on The Hunger Games: Mockingjay – Part 1 soundtrack. Jennifer Lawrence 'Catches Fire' with Josh Hutcherson! Jennifer Lawrence sports her full Katniss Everdeen costume while walking around the set of her film The Hunger Games: Catching Fire on Thursday (October 11) in Atlanta, Ga. The 22-year-old actress was spotted working with her co-star Josh Hutcherson and some characters in big white suits � from the Capitol, perhaps??? The Hunger Games: Catching Fire is set to be released on November 22, 2013. Be sure to check it out!